Just 10 days after Nevada legalized recreational marijuana, the state has hit a major roadblock. Nevada's governor has declared a "state of weed emergency" for recreational marijuana regulations after the state's tax authority declared that many stores are running out of legal weed. The emergency declaration comes after the state's newly legalized recreational marijuana program amassed an astounding $3 million in sales revenue and $500,000 in tax revenue after just four days, which was way ahead of estimates, according to the Nevada Dispensary Association. "Based on reports of adult-use marijuana sales already far exceeding the industry's expectations at the state's 47 licensed retail marijuana stores, and the reality that many stores are running out of inventory, the department must address the lack of distributors immediately," said a statement from the Nevada Tax Commission. "Some establishments report the need for delivery within the next several days." You see, Nevada has approved 47 dispensaries to sell recreational marijuana, but they cannot restock their inventory -- only Nevada's alcohol wholesalers can. But here's the catch: No wholesalers have been cleared by the state yet. So in order to keep the profits rolling, the state Department of Taxation will now consider emergency regulations to provide a structure for distribution to marijuana businesses, according to a July 11 statement. Under the emergency regulation, which will be voted on this Thursday, more applicants would be allowed to apply for distribution and transportation licenses that would allow them to carry recreational marijuana to dispensaries. The regulation is expected to pass. "Without the retail sale of marijuana, the state will not realize the revenue on which the state budget relies," reported the Department of Taxation. Additionally, "If sales of marijuana stop, businesses will be forced to shutter or even lay off staff," said department spokesperson Stephanie Klapstein to Gazette-Journal. "Unless the issue with distributor licensing is resolved quickly, the inability to deliver product to retail stores will result in many of these people losing their jobs and will bring this nascent market to a grinding halt. A halt in this market will lead to a hole in the state's school budget," Klapstein added. 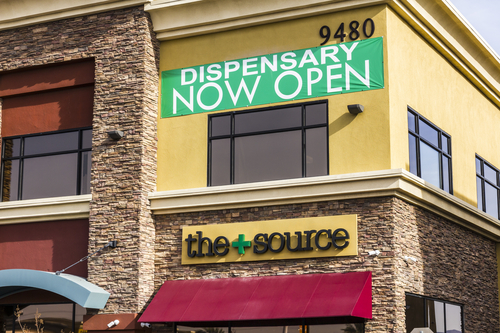 The distribution setback doesn't apply to Nevada's preexisting medical marijuana businesses. Moreover, Nevada supports reciprocity, which means anyone with a medical marijuana card - regardless of state of issue - can purchase marijuana in the state. However, although this small portion of Nevada consumers can still get legal pot - even while distribution is in limbo - it won't compensate for the lack of revenue from the weed shortage. "I think it's something Nevada will figure out," said Cyrus Farudi, president of a holding company that owns multiple marijuana businesses, to MIC on July 11. "Everybody is aligned on wanting to get this done." Legal marijuana sales are already projected to reach $3.9 billion in 2017, and they could be even higher as more states like Nevada legalize. "Marijuana advocates aren't finished with their fight. In fact, they're stepping up the pressure," according to Money Morning Director of Technology & Venture Capital Research - and renowned pot stock expert - Michael A. Robinson. Investors who are forward-looking could make long-term gains from this trend. But there are thousands of legal marijuana companies out there, and picking the right ones for your portfolio can be daunting.